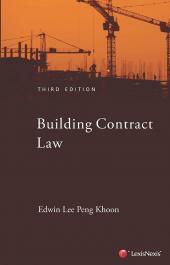 The materials for this book were developed from firstly the perspectives of a project manager who is tasked with the management of projects placed on the design and build model and secondly the observations of advisors and consultants who have to consider the common issues presented by the Contract in arbitration and adjudication. The book includes a review of the principles arising from the design and build model and a chronology of the development of this construction procurement model in Singapore. "Mr Chow possesses a tremendous wealth of knowledge on construction law and practice in Singapore and has clearly established himself as a leading authority on the subject. Having been involved in this specialised area of practice for several decades, he is without question eminently qualified to give a detailed analysis and commentary on the REDAS standard contract." Until the initiative of the Real Estate Developers Association of Singapore (REDAS) to introduce a dedicated standard form of contract for these projects, many design and build projects were placed out on contracts which have been hastily crafted by adapting standard forms originally designed for the traditional "build only" model. More than any other standard form, the REDAS Contract has been pivotal in influencing the development of the design and build model in Singapore over the past fourteen years. 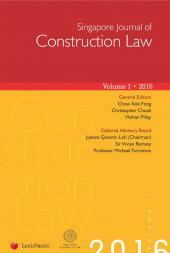 The materials for this book were developed from firstly the perspectives of a project manager who is tasked with the management of projects placed on the design and build model and secondly the observations of advisors and consultants who have to consider the common issues presented by the Contract in arbitration and adjudication. 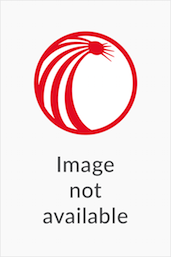 The book includes a review of the principles arising from the design and build model and a chronology of the development of this construction procurement model in Singapore. The major part of the book consists of a commentary on the 3rd Edition of the Contract. The comments are drawn from an extensive range of authorities and writings. In critical areas, the text contrasts the positions in a design and build contract with that found in a traditional "build only" contract.